It's time to put 2010 behind me. To be perfectly frank, it was one of the worst years I've ever had. As a couple, Hubby and I both agree that not much can get worse. (There was a lot to celebrate too.) We weathered long and frequent separations, there was the fall while skiing and the recovery that still continues, there were major life changes and serious adjustments for all, there were home renos that went no where, there was Hubby's painful battle with his own injuries, there were changes all around. And there was more. This quilt came out of the more. In the last 6 months of the year I experienced two miscarriages. One was quite shocking and ended up with me in the hospital on our way home from a funeral. The other was more typical and certainly less traumatic, but hard to deal with because it happened while Hubby was out of town. I'd had a miscarriage before, in the months before The Monster was conceived. But after everything this year I found these two particularly rough to recover from - physically and emotionally. Some doodling, some planning on the computer, and I just started sewing. As December progressed there was no option but to finish this quilt. I needed to put it, and everything else behind me. It was a just because quilt, but it was also more. But I don't want to put a lot of meaning to it. Finishing it, however, is symbolic of putting the past behind me. I tend to hold on to things, even when they are pulling me under the water. Some sort of sick self pity keeps me grasping to hang on when the surface is right there. If I just let go I can get to shore and walk ahead, drying off as I go, ready for the next adventure. Hubby always said that if we let everything that happens get to us we would never get out of bed in the morning. Well, I spent a lot of time trying not to get out of bed over the last 6 months. It's time to stop doing that, it's time to let go and swim for shore. The quilt is done. It isn't a particularly pretty quilt, nor is it one of my best efforts. I was so anxious to finish that I didn't square it up and the edges are very wavy. The quilting is uneven. My points could have matched a bit better in spots. But its done. With the last stitches of the binding, finished with my girls helping me on New Year's Eve, I actually do feel ready for the next adventure. Cheryl, this is such a powerful post. I am really so sorry to hear about your miscarriages. The recovery on all fronts must be unbearable. 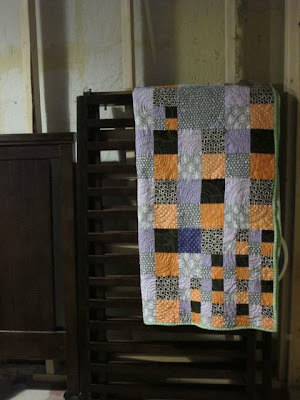 I thought this quilt was beautiful when I saw it, it is what it is and is unique. It's even more so knowing how it came about and was finished, maybe because it's more like soul work than book work. Best efforts really are relative anyway, we're all capable of different things at different times. Best wishes. I'm sorry for all of your loss this year, Cheryl. I do hope you have a wonderful 2011. Thanks for sharing with such honesty. Sounds like 2010 was a tough year, but 2011 is a new beginning and I hope a better year on the whole. Sounds like 2010 was a really trying time for you and your family. I am so sorry for that. There is something to turning the calendar and starting fresh that gives us new hope. Here's wishing you a 2011 full of love and happiness and much less sorrow. I'm so sorry about yuor miscarriages. I had one at the end of 2009 and it was a really difficult experience. I hope things go better for you and your family this year! Cheryl, this was such a touching post. It brought tears to my eyes. I was more than ready for 2010 to be O.V.E.R., in my case losing my best friend. It completely zapped all of my creative energy. 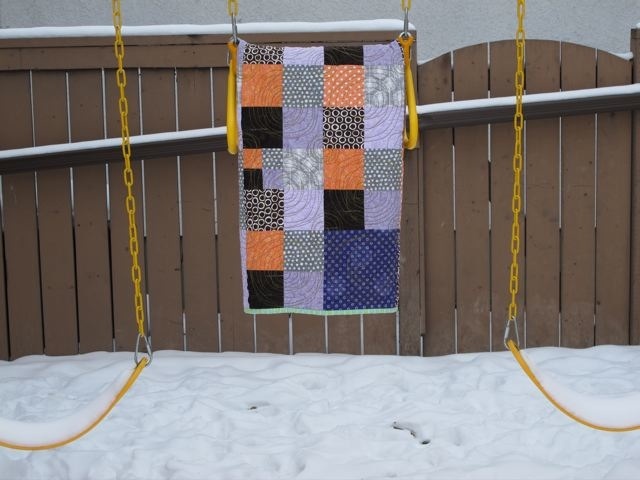 Your quilt is beautiful and speaks to me of loss...and the beginning of recovery. Events change us and I'll be looking forward to what creativity 2010 has sparked in you. It does sound like time to move on and expect good things in 2011. You have really had a rough year and if you are like me, holding, touching, playing with fabric helps. I am sending lots of good wishes for your new beginning, a new year of dreams come true. You really did have a challenging and difficult year. Yet here you are, ready to move forward with a positive outlook. Keep pushing on! 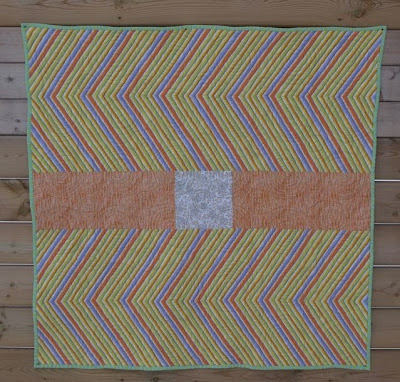 I do love "just because" quilts, imperfections included. Sometimes allowing those imperfections make the quilt even better. Here's to a better 2011 for you! it exudes emotion .... like your post. 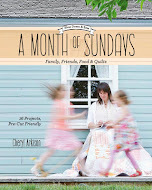 It has been lovely getting to "know" you through your blog over the past many months. Thank you for your honesty and sharing such a personal story in your journey to complete this quilt. 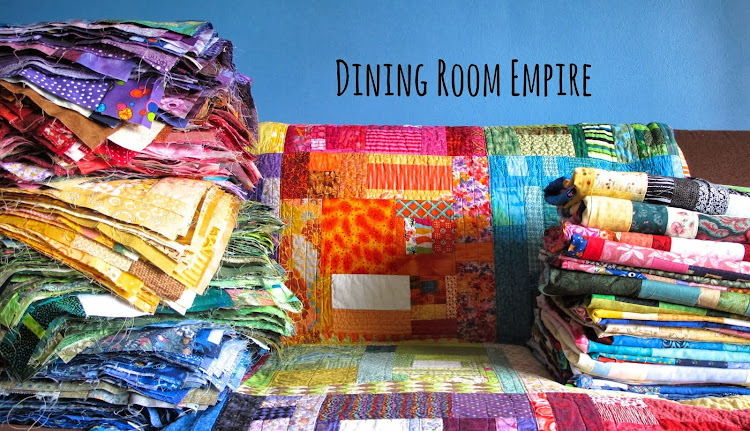 We can all make light of it sometimes but quilting, our art, really IS our therapy. All the best for a wonderful 2011! Thank you for your honesty. Best wishes for the new year! Wishing a happy and HEALTHY new year to you and your family! Stay positive! Can a complete stranger be proud of another? It took me 4 years to finish my daughter's quilt when she was stillborn in 2004. I completely understand how math can be mean and heart breaking... in our house 2 boys plus 6 loses only equals many moments of intense joy and many other moments of excruciating sadness. I wish you luck in the neverending journey of life. I hope your dreams come true in 2011 whatever direction they lead you! Huge *hugs* to you. Miscarriage's are hard to deal with both physically and emotionally, whether it's your first or second! As another 2+2=4 mum, I just want to wish you a fantastic 2011! Your quilt is lovely and your words are honest. I hope you have a better year. Cheryl, thank you for sharing your rough times. Too often I think everyone tries to make their blog an impersonal showcase for their quilts and you don't get to know the people behind the quilts. I'm so sorry for your struggles this year. Most especially for your miscarriages. Hubby and I have been trying to conceive for almost a year and I've really started to feel sorry for myself especially as it feels like everyone around me is having babies. You are reminding me that I'm not alone in my struggles. I'm so sorry for your losses though, I can't imagine how difficult your year has been. I wish you all the best in 2011. Healing, health and happiness to you. This is a beautiful quilt. I thought so even before I read your post. Thank you for being brave and honest. Your fellow quilters (any artist, I guess) can really appreciate the power or symbolism that one project can represent for the time in your life when you were working on it. Thank you for sharing this with us and I hope 2011 brings joy, health and ease to your life! 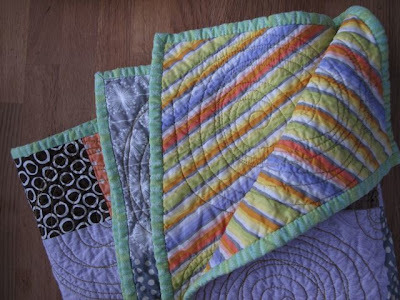 I am convinced that quilting can be used as therapy. I haven't quite figured it out for myself yet, but it looks like you are well on your way to that discovery. Thanks for your teachings. Praying that 2011 brings joy and fulfillment and your creativity gushes! Oh Cheryl, wishing you a bright and bountiful 2011. It looks like your quilt is about letting go too. Im sorry for the down times in the past year. I love your quilt! I love how it multiples gowing more yet smaller squares like the rings on the surface of water. I like that the corners are imperfect or rather perfect for how you were feeling at the time. That's one of the things I love about quilting. Its not about the perfection of the final product but rather the journey to get it complete. And like in life when its finished(or not) you can fold it up and put it away to be brought out at a later time and be admired fondly or with a grimace. Sorry for the rambling but your post really struck a chord with me. Have a happier New Year! I am sorry that 2010 was not better for you. start a new happy quilt and start each day being thankful and end each day considering why the world should be thankful for you. So sorry to hear about your awful year. I think the quilt design is really neat. It can be hard to give up the hurt, but you will when you need to. take care and hope 2011 is much better for you! Hi, Cheryl. I'm so sorry for all of the suffering you've endured this year, and I'm glad you can put 2010 behind you. Best wishes on a healthy 2011. Cheryl, what a powerful post. It is infused with your calm determination to - as you said - let go and swim to shore. Here's to 2011. What a year Cheryl. You still have a such a great stride after all the suffering, and I wish you nothing but the best in 2011. Oh Cheryl, I am so sorry you went through all this in 2010. It seemed hard enough to be separated from your DH so much, but TWO miscarriages is heart breaking. I hope you were able to dump some of that heavy load into your quilt and can face 2011 feeling a little lighter. I'm so sorry. Best wishes for a much better, even fabulous, year this time. I love the quilt just as it is. I'm so very sorry for your losses. Hoping for a better 2011 for you. I hope that 2011 brings nothing but good times and that you will be able to move on. Done is better than perfect. Tugging on heartstrings! You give words to my feelings. On the tending to "hold on to things.." as a mother we tend to grieve the loss and the child, since those are the only memories we have of them. Hugs from a stanger. 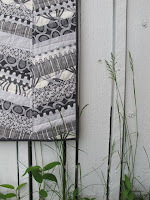 And the quilt has a stony beauty to it! I love it! So sorry you had such a tough year. I hope that making this quilt was cathartic in a way and that 2011 is full of positive energy and new life. I'm terribly sorry that you had to go through all of this. I knew some it, but not the loss that you experienced that hit me like a ton of bricks. My heart breaks for you, thank you for sharing. Looking forward to seeing this in person. You really did have a challenging and difficult year. Yet here you are, ready to move forward with a positive outlook.I hope this year brings more brightness and hope. I appreciate your bravery to talk about this subject that so many stay silent about. Thank you. 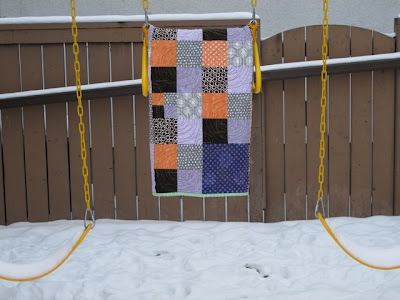 Your quilt design is beautiful, even if the emotions behind it don't feel that way to you. I wish you a grand next adventure in 2011, that your body be a place of peace and a source of joy again. I am sorry to hear about your miscarriages. You shouldn't be so rough on yourself...I don't think it would be right to get over something like that in a very short amount of time. Kudos to you for moving forward in a graceful manner and best wishes for 2011. Cheryl, I'm so sorry to hear about your miscarriages and how difficult the year has been for you. Thank you for your honesty and sharing. 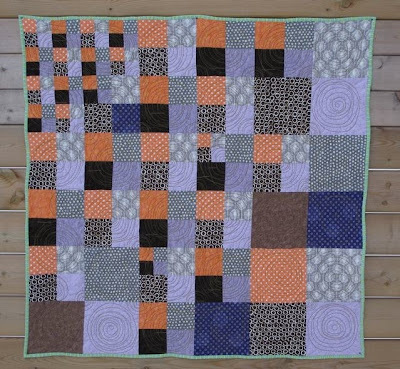 As an aside, I think it's a lovely quilt, with those soft purples and oranges and grays and the changes in scale. I hope now that it's done it can just be a lovely quilt to warm you and your girls and your husband. Wishing you peace in this new year! Thanks for sharing, and I am sorry for your difficult year. The quilt is beautiful. I'm a terrible point matcher, so I certainly won't be judging you on that one! I'm so sorry about your miscarriages and difficult year. We too had a trying year which ended in a traumatic miscarriage so your story is touching me. I'm not so sure I feel ready for the next adventure yet. One day at a time. "Quiet devastation" is the phrase that comes to mind when talking about miscarriages - at least that's how I felt when it happened to me...I can't imagine going through that more than once Cheryl! I'm so sorry to hear that your year was so rough. I've had one miscarriage which was difficult enough - I can't imagine the physical and mental exhaustion that would come with two. 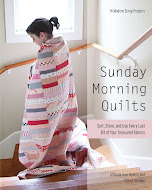 I love the quilt - it's expressive and there's so much movement in it. Best wishes for a better 2011.